Statins, the drugs designed to lower cholesterol, are in the news again. The US regulatory body the FDA released a warning this week, cautioning users of an increased risk of developing dementia or diabetes. 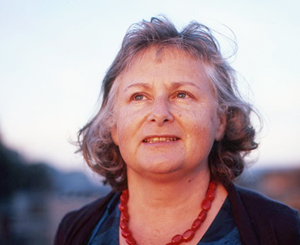 Australia’s counterpart, the TGA, is yet to make a ruling. Cholesterol lowering drugs like Lipitor and Lipex are some of the most prescribed drugs in this country, with around 30% of all people over the age of 45 yo currently taking them. But statins have always been controversial, especially in relation to side effects such as crippling chest pain and being over-prescribed to relatively low cardiovascular risk patients. The evidence showing a link with cognitive impairment was not as strong as the links with diabetes, but if a patient developed symptoms he would consider taking them off the drugs. But the director of the Baker IDI Heart and Diabetes Institute, Garry Jennings, said people should not stop taking statins. For a number of years the issue of prescribing statins to women, when evidenced based research showed that it was unlikely to increase longevity, has been particularly questionable. While high cholesterol is a known risk for conditions such as heart attacks and strokes, it is rarely the only factor. Gender, age, family history, weight, smoking and other lifestyle issues all play a role. Doctors are encouraged to use a CVS risk assessment tool and encourage patients to change their diet and increase exercise before reaching for the prescription, pad but in practice this appears to not happen often enough. • the most prescribed type of drug in Australia. • and also that the same pharmaceutical companies who make statin drugs are often major sponsors of medical research and respected health institutions, such as Baker IDI, whose director was quoted above, urging patients to continue taking statins despite the negative research. • only suitable for a narrow range of patients – men who have high cholesterol, with a history of heart disease and a family history of cardiovascular disease – are the most likely group to benefit from statin therapy. Researchers at the Norwegian University of Science and Technology looked at 52,087 individuals between the ages of 20 and 74. After adjusting for factors like age, smoking and blood pressure, researchers found women with high cholesterol (more than 270 mg/dl) had a 28 percent lower mortality risk than women with low cholesterol (under 193 mg/dl). Risk for heart disease, cardiac arrest and stroke also declined as cholesterol levels rose. Identify your cardiovascular risk factors and treat the whole body, not just the blood lipids. Have a break from animal products. A vegan diet (no eggs, meat, seafood or dairy) is cholesterol-free and shown to reduce blood cholesterol levels. If you can’t take a break, limit animal foods to once or twice a week initially (and yes that does include cheese). Eat lots of different fruits and vegetables every day. Eat more high fibre wholefoods. I call them “moppers”, ie: unrefined plant foods such as lentils, beans, brown rice, oats, quinoa and millet. Add some soy. Rather than guzzling processed soy milk, eat organic soybeans, miso and tempeh. Get moving. Exercise has been shown to naturally reduce cholesterol levels. You don’t have to start running marathons, but you do need to be active for at least an hour everyday. Consider taking enzyme Co-Q10 to protect your cardiovascular system. Consider taking policoasnols, a plant-based product that can help reduce cholesterol levels. Look after your liver; it’s the organ that metabolises cholesterol. Cut out or down on alcohol and skip the fatty food. 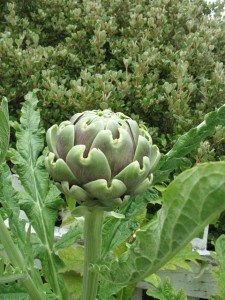 The herb globe artichoke has been shown in some trials to reduce blood cholesterol. Vitamin B3 (nicotinic acid) may help lower cholesterol levels, for long term use aim for 25-50 mg a day in a B complex. Never take a single B vitamin long term, as it can impact the levels of other B vitamins in your body. Never smoke (and that includes marijuana) as it increases other cardiovascular risks. Have regular health check ups to monitor blood pressure, weight and cholesterol. One normal cholesterol reading is not enough. Reducing your cardiovascular risks is life-long work. Consult a qualified naturopath if you have high cholesterol and want to explore the alternatives. Cholesterol does some nifty stuff in our body, like making hormones. It’s not all “bad”, nor can we live without it. There is evidence that having low cholesterol levels may shorten your life. The risk is “U shaped”, with both low and high cholesterol having a similar risk. You must fast before having your blood cholesterol tested. Workplace and supermarket are rarely done after fasting, so the test results are often misleading. A recent article in Australian Prescriber looks at the pros and cons of our current statin use. The TGA’s interim advice on statins (March 2012). Pingback:	Gill Stannard » Can a single diet cure depression, lower cholesterol and help you live longer?